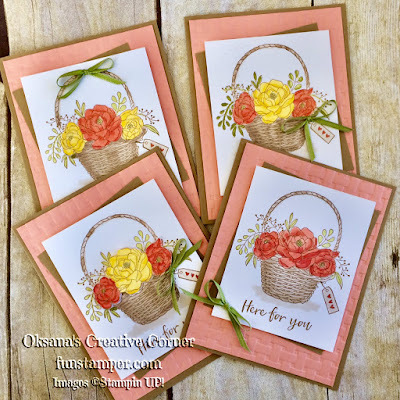 Blossoming basket bundle is my favorite offering from Sale-A-Bration. 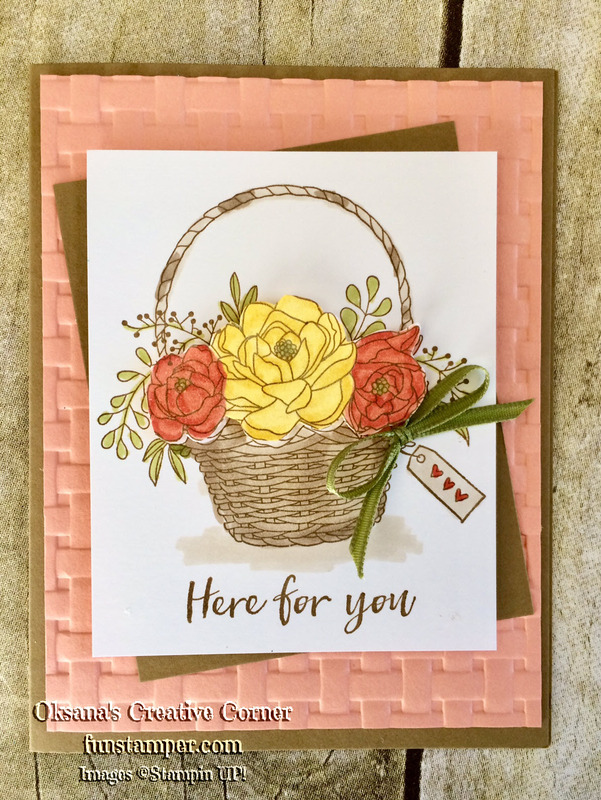 It hits all major points - beautiful flower image, you can color stamped image, create a texture with dynamic embossing folder and it is FREE (with $100 order). 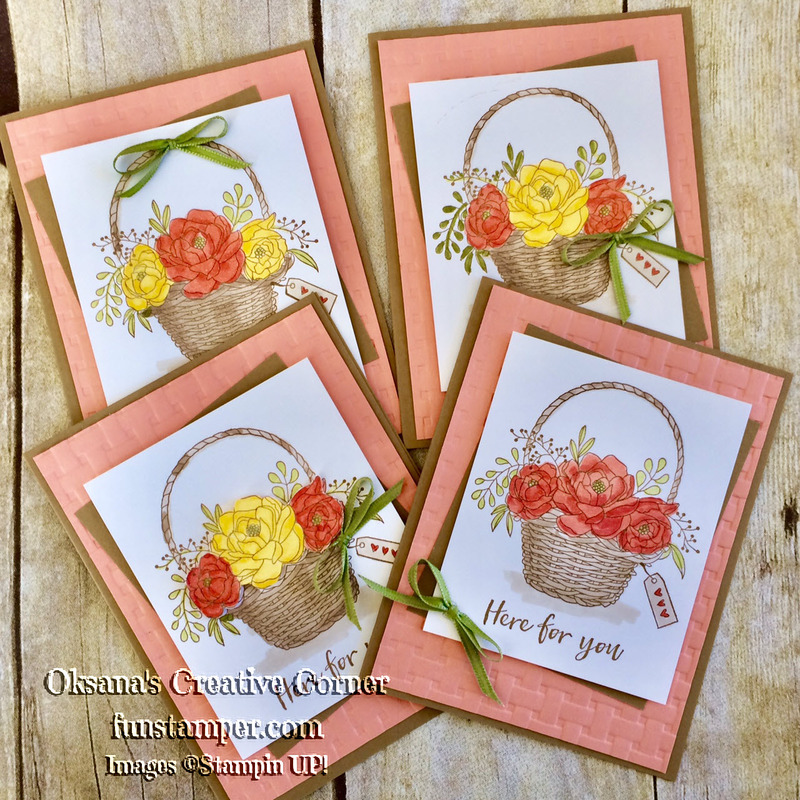 I used this bundle last week during my Crafting Happy Hour class and it was a hit. Card on the bottom right was the original card we created, but with just extra set of blends - you can create more color combos. I used very simple template that will allow me to cut multiples without any leftover paper. I used sift suede ink to stamp a basket as I like soft color. I used crumb cake blends to color the basket and Calypso Coral/Daffodil Delight for flowers. 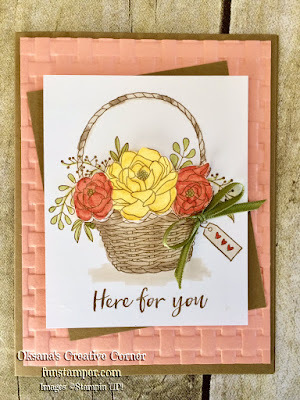 If you decide to use darker colors for flowers - you may want to use Early Espresso for stamping. I just noticed in this picture that i used deposed side, haha! This is amazing set and you only have by March 31st to get it for free. Even so embossing folder will be available to buy in June, the stamp set will not.